Did you know that more than 140 languages are spoken in Toronto? The most multiculturally diverse city on the planet will welcome you with it’s vibrant blend of tourist attractions, from museums and galleries to the world famous CN Tower and off shore Toronto Islands. City’s urban clubs, bars and eclectic festivals just add to the charm of the capital of Ontario. Visit the amusing Entertainment District, featuring the latest musicals and other performing arts, and the historic Distillery District where you can spend the whole day enjoying charming galleries, boutiques, restaurants and artists’studios. Head to the ultimate shopping experience in Eaton Center, modern shopping complex. Don’t skip traditional St.Lawrence market houses, or The Royal Ontario Museum, known for it’s international reputation for excellence. Save the best for last: the landmark of the city, 553 meter CN Tower. Start with having a dinner at revolving 360 Restaurant. 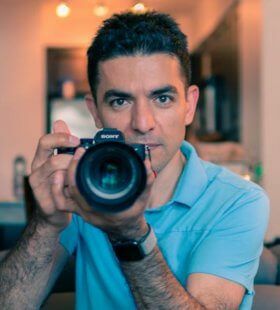 Let your personal professional photographer in Toronto capture you standing on the fascinating Glass Floor or at the balcony of Outdoor Sky Terrace enjoying the breathtaking panorama of the city.